There are so many mash recipes out there nowadays, mostly for non potato mash, which is all good and well. I have a load of those myself and to be honest, it could be hard to really tell the difference. 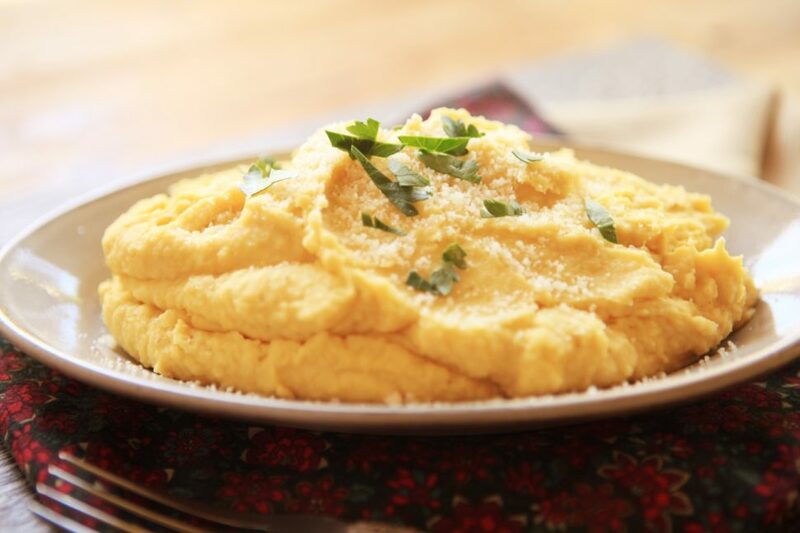 My Garlicky Chickpea Mash is very golden, (pictured) pretty more-ish and definitely not carb free, but try and stop eating it. Seriously. YUMMO. Naturally I am replete with the good ole Cauliflower Mash as well. Who isn't up to speed with that one, which is very close in flavour and appearance to it's carb laden half sister, potato mash. 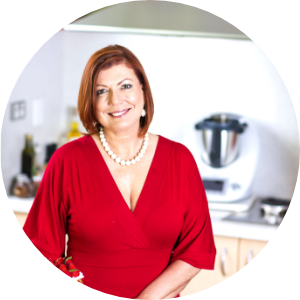 I have heard varying stories through the years regarding potato mash, in and out of the Thermomix world. Stories range from horrific gluey mess, chuck-it-in-the-bin, to angels sitting on clouds strumming a harp as people's eyes roll back in their heads in carbohydrate ecstasy. I did on one occasion in Switzerland, experience such ecstasy. This was a French recipe where the ratio is half cheese and half silky smooth potato. If fondue and mash had a baby, it would be Pommes Aligot. HOW do they do this? I'm working on it...stay tuned. In the meantime, use these tips and sure fire hints to make sure your mash is always perfect. 1. Use the right potato variety. The fleshier, starchier potatoes are best. In Australia, you should look at Desiree as your go to as these are usually widely available in the main supermarkets. If you can get Dutch Cream, they are also really great for mash. If you are steaming them in the Varoma, empty the TM bowl of water once they are cooked, and then return the Varoma with the potatoes still in it to the top of the bowl to steam dry over the still hot bowl. 4. Add fat first. You need to add fat (as in butter) before adding liquid (as in cream). This will keep the texture firm, not tough, nor stringy. 5. No brainer, taste, taste, taste. Although you should always salt the water if boiling potatoes, (until it is like tears salty) you need to add more salt to taste after cooking and whilst mashing. So keep tasting. Add a little at a time, the potatoes will absorb the salt as much as they absorb the cream! 6. Add liquid slowly. Speaking of cream, don't add it all at once, add it slowly as you mash. They cannot absorb it all at once. You will end up with lumpy mash, but not on my watch!! 7. Heat and infuse your liquids. This is my preference for adding flavour (other than cheese). Heat the cream or stock/wine if you are going dairy free, and infuse it with garlic, thyme, sage, other herbs of choice. The heated liquid will be absorbed a lot better and it has the bonus of keeping the mash hot. Simmer your liquids, while the potatoes are cooking. DONE. SO you have the silky smooth mash ready, top it with chopped chives or spring onions, plenty of grated cheese and more butter, you butter believe it! There is never enough butter. If you're lucky enough to have a fresh truffle laying around, go to town. The perfect topping for your mash!